Planimeter update on Android v4.2.0: drop a pin with a label at an exact location and quickly share Google Maps link. 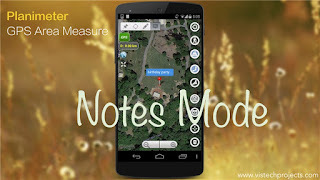 Notes Mode in Planimeter gets even more useful and handy features. Initially this mode has been introduced with ability to bookmark your favorite locations or landmarks, to add and edit labels, to share and export a KML file with your records. Then the mode has been extended with useful navigation feature, where a user can be quickly switched to Google Maps to get directions to any selected pin on the map. Now v4.2.0 brings you the convenience of sharing a single point with attached label as a text message, where included Google Maps link can be opened on mobile or desktop browsers. Check out the demo video and let us know if you have any suggestions or comments. [Android] Notes Mode in Planimeter v4.1.0 allows navigation to selected point. 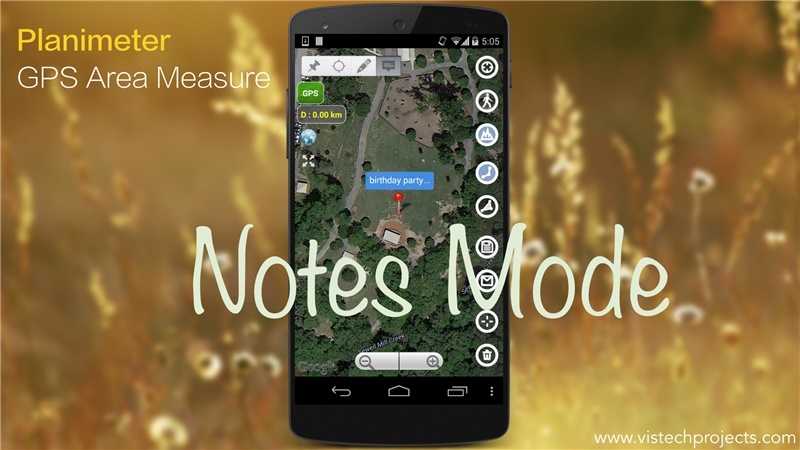 Planimeter v4.1.0 for Android extends recently introduced Notes Mode with a new feature. Now along with the ability to attach, edit and share notes for each point you can quickly switch to Google Maps and navigate to selected point. 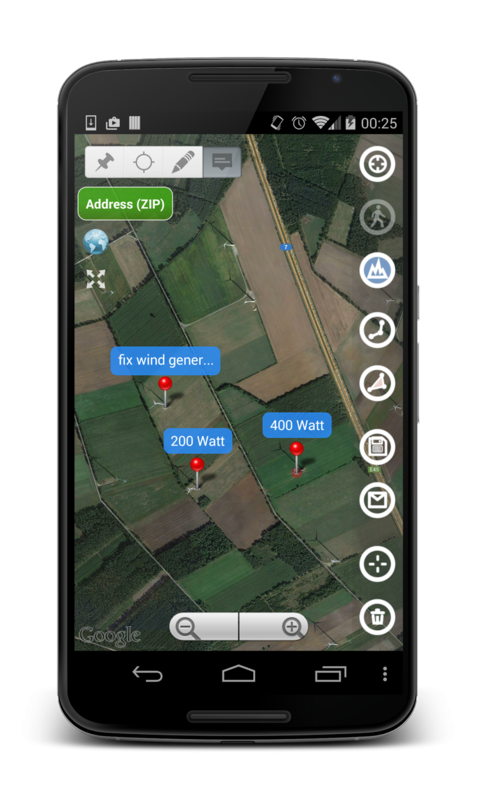 This feature comes in handy when you use Planimeter as a mapping tool and need to find directions quickly and navigate to any point from your Planimeter records. Now you don’t have to look for a point address or coordinates, just switch to Notes Mode and touch a pin on your map. In the popped up dialog select Directions button and you will be brought to Google Maps, where desired route can be selected. You can check directions there and start navigation*. *please make sure GPS and other settings, required for Google Maps navigation, are enabled on your device and supported in your location. Please watch below how quickly it works and how useful it is. We are looking forward to your feedback, comments and suggestions.